Add your ingredients to the blender in the order as listed. 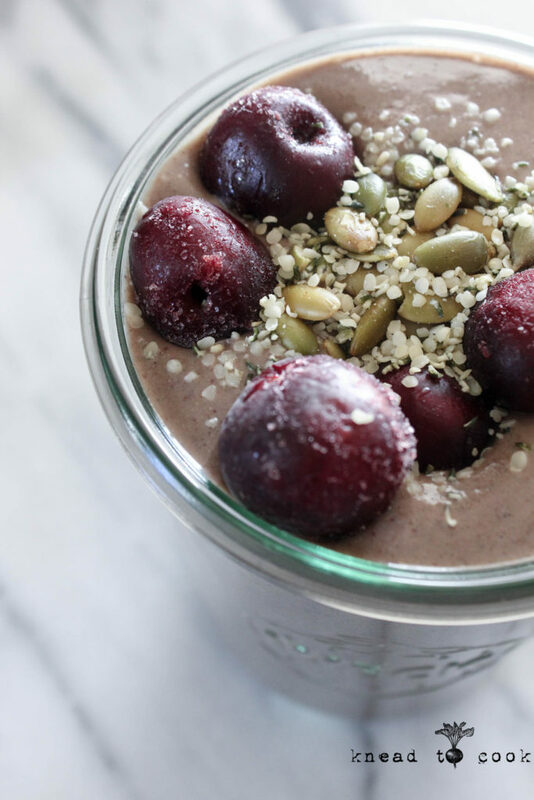 Blend on the smoothie setting or highest setting for about 45 seconds to 1 minutes or until completely blended. Pour into a large cup and top with your favorite toppings. One note: I’ve been using a small banana in this smoothie but if I don’t, I use 1 tbl of nut butter for extra creaminess. I want to share links to my favorites used in this recipe for easy reference. Vega Sport protein can be found here. Maca powder, which balances hormones, helps immunity and tastes so good can be found here. 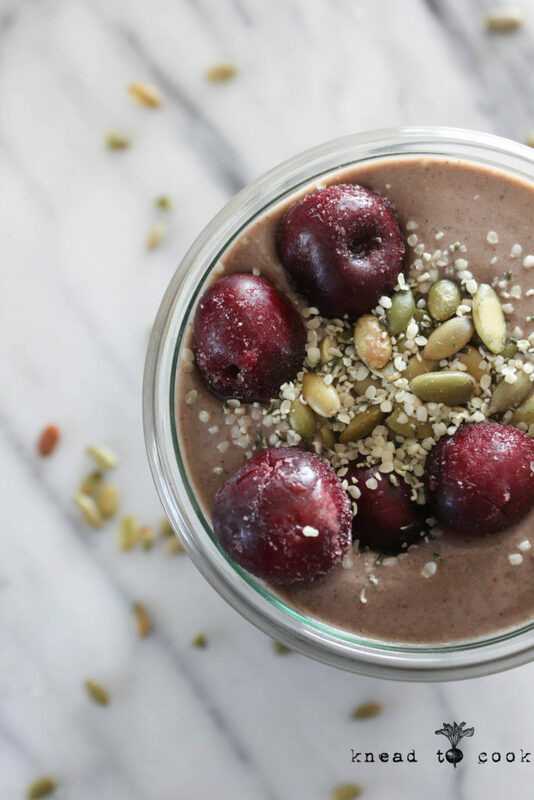 This is my favorite flax/chia meal I love to use in smoothies (essential for omega 3 fatty acids & healthy fats) can be found here. Last week I jumped head first, well maybe legs first, into lifting my legs again! It was heavenly and I won’t lie – I’m super happy. No weights or very low weights are on tap but doing 3 sets of 10 reps is providing a lot of mental clarity for me after obliterating my upper body for weeks on end. Progress and moving forward. This is what I’m having for breakfast tomorrow! All things I have in hand which is always a plus for me! It was so easy to make! I loved that the zucchini added to the texture and nutrition, but you couldn’t even tell it was part of it. I also never thought of mixing cherry, chocolate and peanut butter!!!! Definitely fitting this in to my morning breakfast rotation. Side note, I am very interested in seeing the benefits of the Maca powder. First time using it.